Apply Now & Join Our Team! 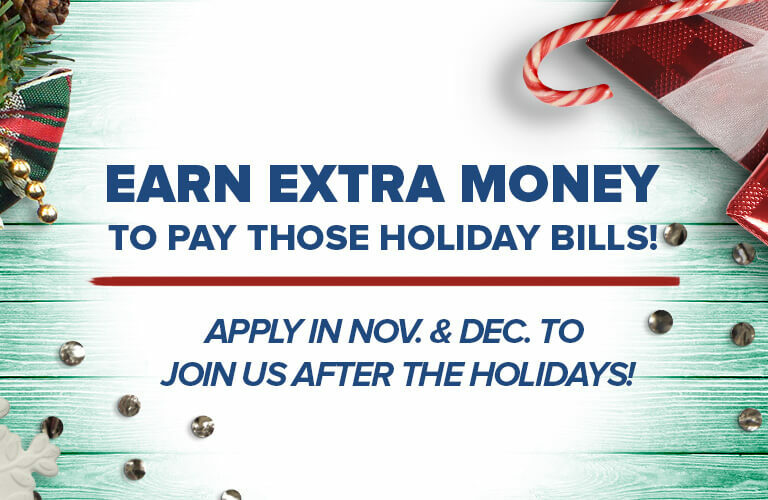 We are hiring in November & December for the upcoming tax season and we want to meet you! Check out our 300+ seasonal jobs (full-time, part-time, entry level, & manager trainee) available at 35 locations throughout South Carolina. Join us for tax season, smile, have fun, meet new people and learn valuable skills that will last a lifetime. No Tax Experience? No Problem! With our award winning training and knowledgable support team, we teach you everything you need to know to be successful working in a tax office. We won't expect you to know everything about taxes, our experienced management team will continue to guide you along the way. Meaningful work and opportunities abound for you to build and develop skills in a team environment with a family-like atmosphere. Create relationships that will last a lifetime. If you have a friendly disposition and are ready for a challenge, we want to hear from you. From our Greenville, South Carolina headquarters to our 35 locations throughout South Carolina, we value the team who comes together to serve our clients and communities where we do business. We care about and invest in you as a team member, so that you can take care of yourself and your family. Find flexible schedules, competitive salaries and paid training, from financial to well-being and beyond. "I retired from my previous career and thought I’d work for one tax season and learn something as well. That was 15 years ago! I love working during the winter and having my summers off! The time spent with my coworkers and the relationships I’ve built with my clients & in my community are precious to me." "They didn't think I could work in a tax office---But my lack of "experience" didn't stop me from getting an entry level position." "The job turned out to be more interesting and challenging than I could’ve ever imagined." Apply Today! What Are You Waiting For? If you’re ready for a challenge and to have fun explore the opportunities available at M & M Tax. Join a winning team whose mission is to be the best! We need you to help us succeed. If you’re ready to take on the fast paced income tax business then we are looking for you. Become part of the M & M family. We make tax time fun. M & M Tax is an Equal Opportunity Employer (EOE) and we seek to create an inclusive work place that embraces diverse backgrounds, life experiences and perspectives. M & M Tax shows commitment to the men and women who have served in the United States Armed Forces by providing meaningful, challenging career opportunities. *Applying for a posted position does not guarantee an interview.